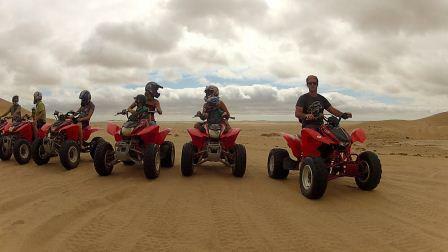 Experience the sheer thrill of riding a quad bike through Namibia’s boundless expanse of shifting sand dunes. 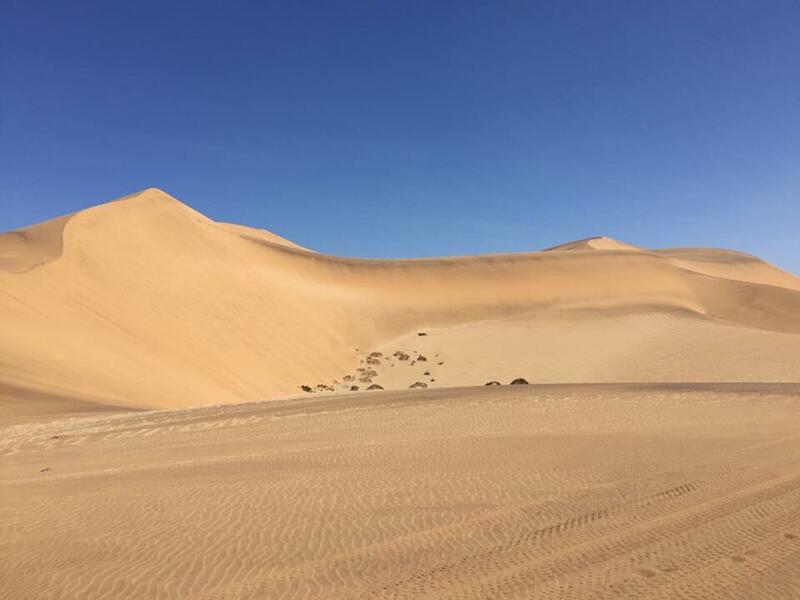 Explore a bit deeper into the Namib desert and see breathtaking views of the elegant dunes. 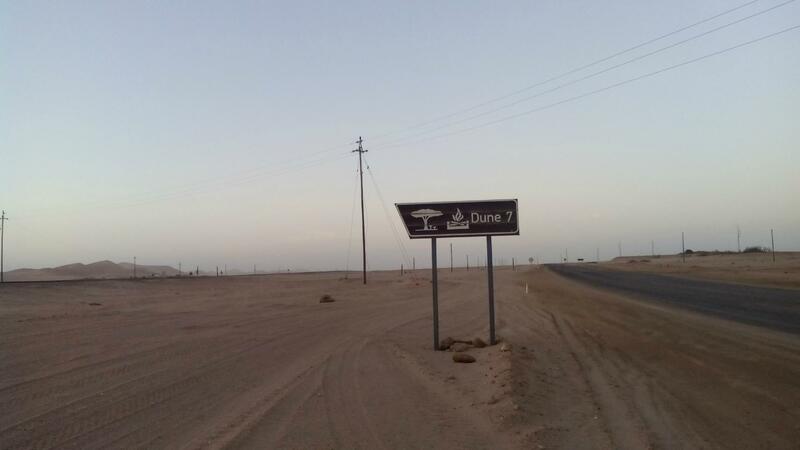 Maneuver the ups and downs as you ride through the Namib dune belt. View some of the amazing creatures that live in the desert. 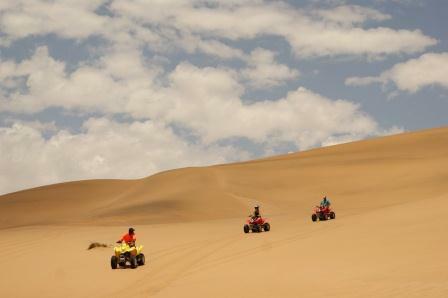 Encounter the vast beauty of the Namib Desert as you cruise over some of the highest dunes in this area. 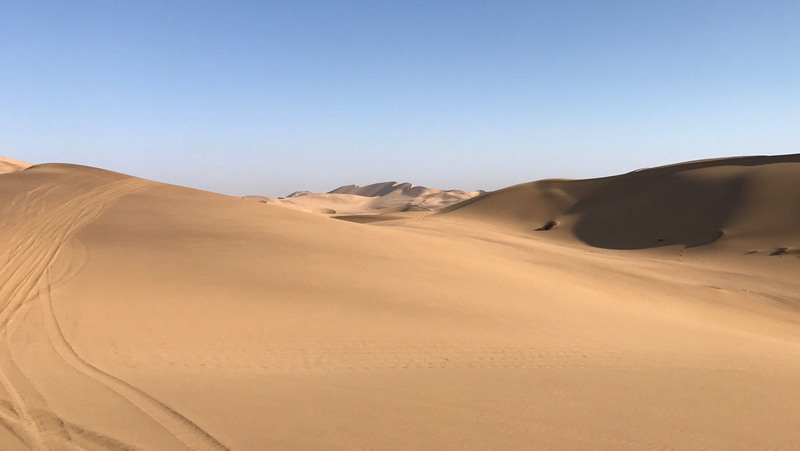 Witness the magnificence of the taintless Namib dunes from close up and go beyond your expectations. We ride the wildest dunes and spirals of the Namib Desert. 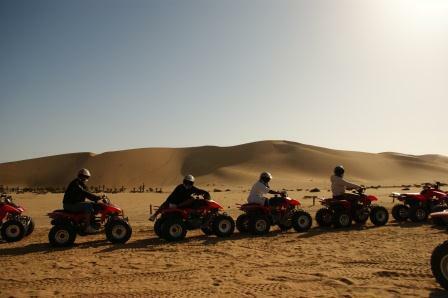 Excellent photographic opportunities as you ride up the dunes to see exhilarting views. Slide down the Dune slopes like a snowboarder. 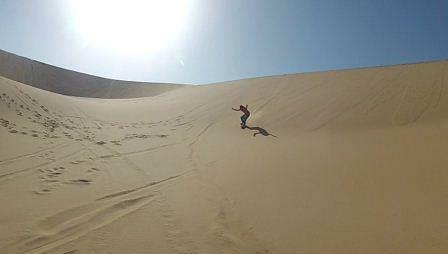 This is extreme fun and you will experience snowboarding on the dunes in the Namib Desert. 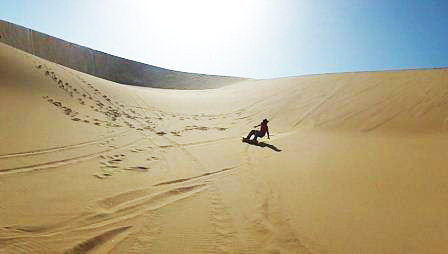 The sandboarder lies on their stomach on a board, shooting head first down the dune. This is a nice way to get used to the speed of this amazing experience. 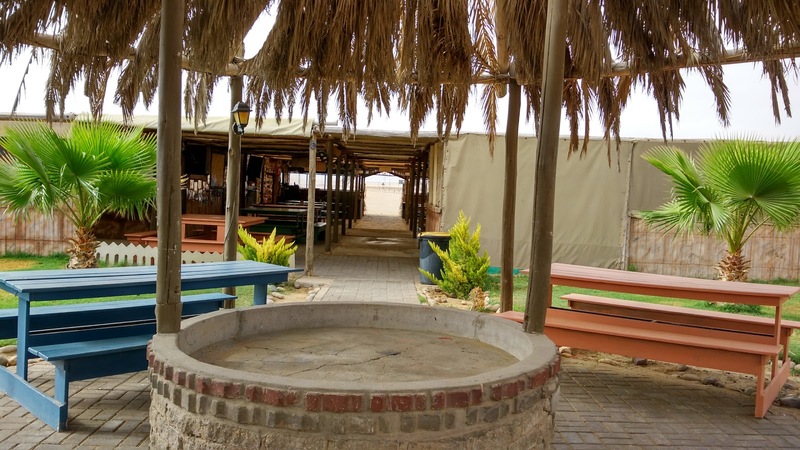 If you want to cool down after a day in the dunes you can join us at our restaurant and have a cold drink or something to eat. If you are looking for some more fun you can play a round of putt putt golf. 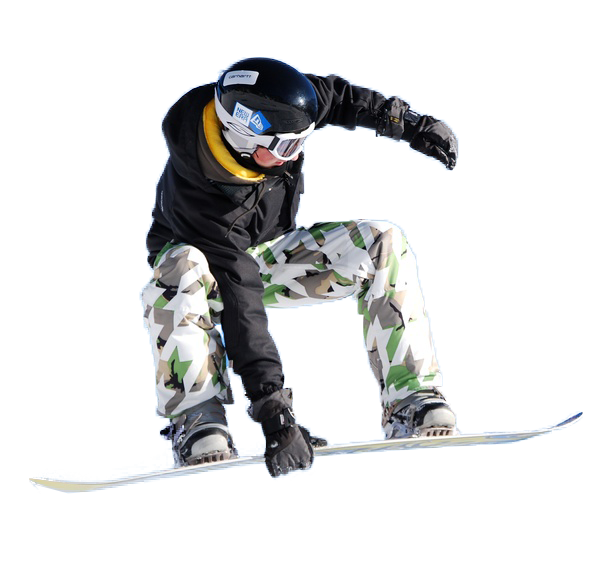 We facilitate to families or large groups that wish to take a tour as a unique group. 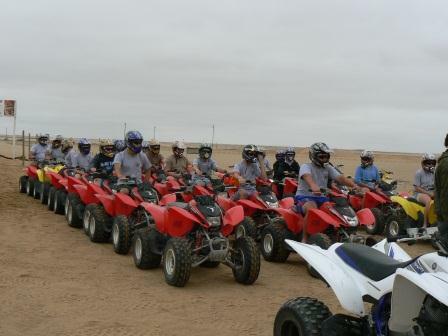 We accomodate and provide quad bike tours to all ages, from young to old no previous experience required. 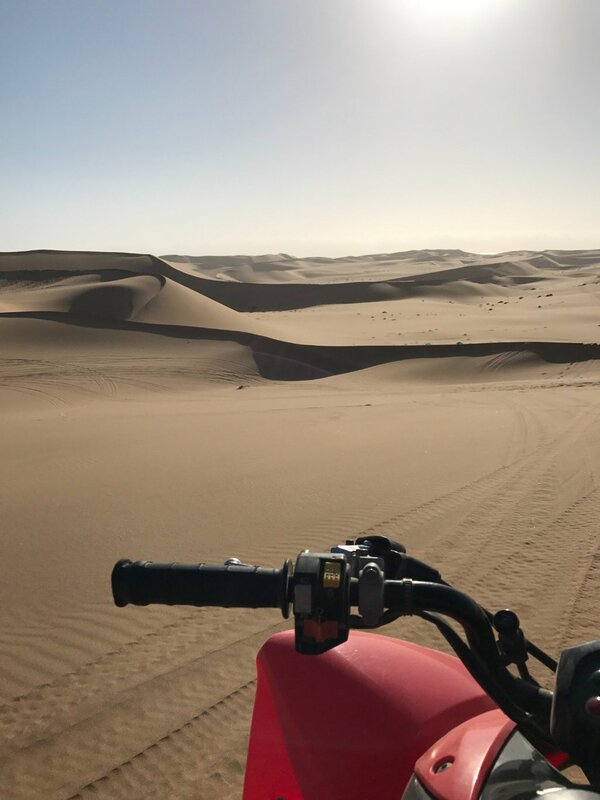 Enjoy breathtaking Quad Bike trips through the Namib Dune Belt, and experience the most spectacular views from the top of some of the highest dunes in the world. 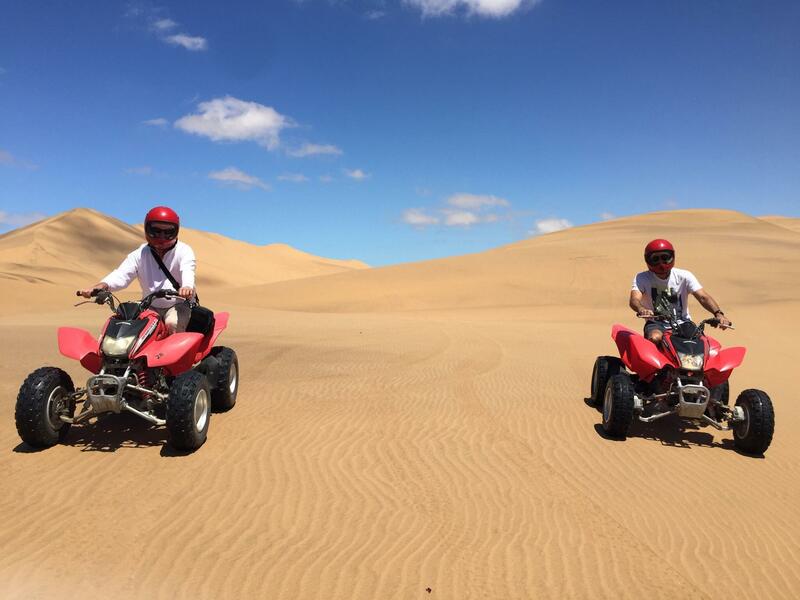 Everything we offer at Dune 7 Adventures is great fun for young and old! We offer sundowners on top of the dunes, watching the sun set over the ocean. Our facilities have clean flush toilets, outside showers and a huge Lapa to hide from the desert heat and relax whilst enjoying a barbeque. We have a Kiosk with cold beverages and snacks. Dune 7 Adventures is open 7 days a week all year round. For activities such as sundowner trips, contact us via a booking to confirm availability and pricing. Fill in all fields marked with an asterisk * as required. Fill in your full name and add your activity and day. 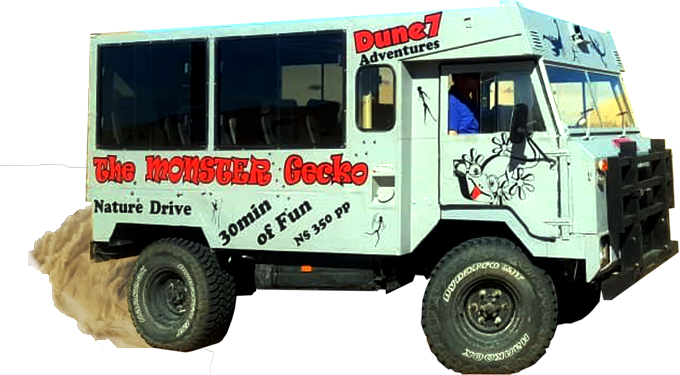 Take a scenic drive in our Monster Gecko next to the impressive Namib dunes for a unique and unforgettable experience. 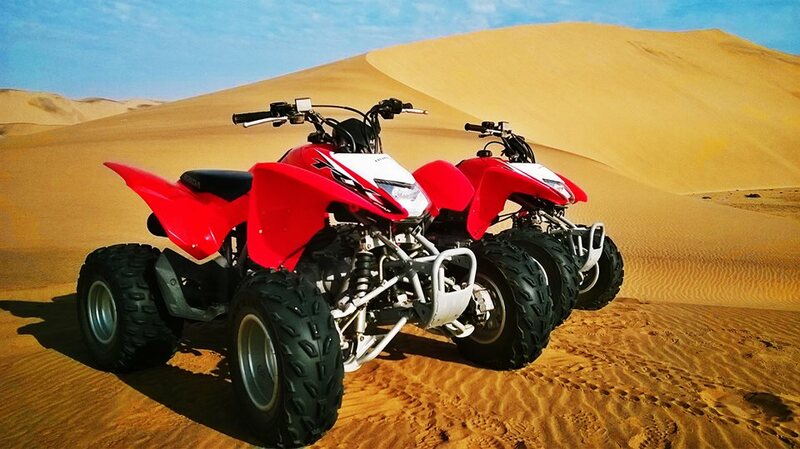 Enjoy breathtaking Quad Bike trips through the Namib Dune Belt, and experience the most spectacular views from the top of some of the highest dunes in the world. Everything we offer at Dune 7 Adventures is great fun for young and old! We offer sundowners on top of the dunes, watching the sun set over the ocean. Our facilities have clean flush toilets, outside showers and a huge Lapa to hide from the desert heat and relax whilst enjoying a barbeque. We have a Kiosk with cold beverages and snacks. 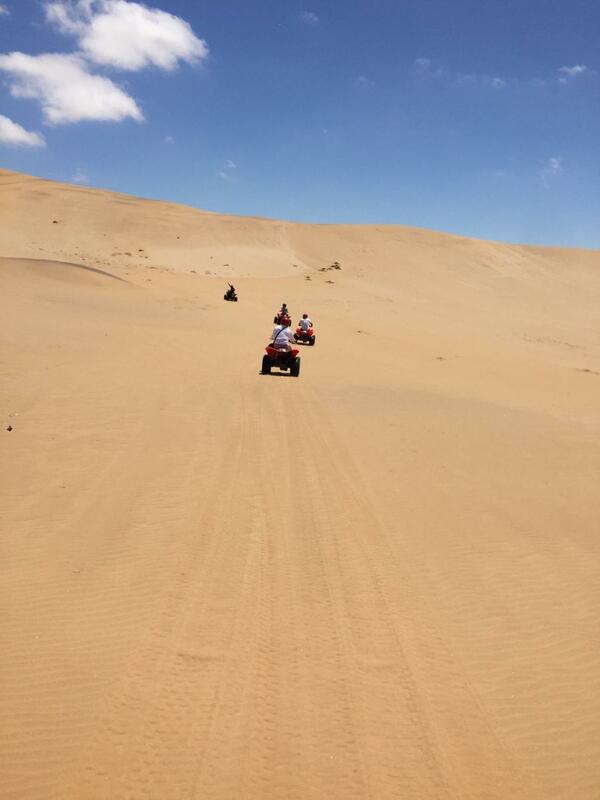 Dune 7 Adventures is open 7 days a week all year round. We look forward to your visit ! Fill in your full name and add your message in full. 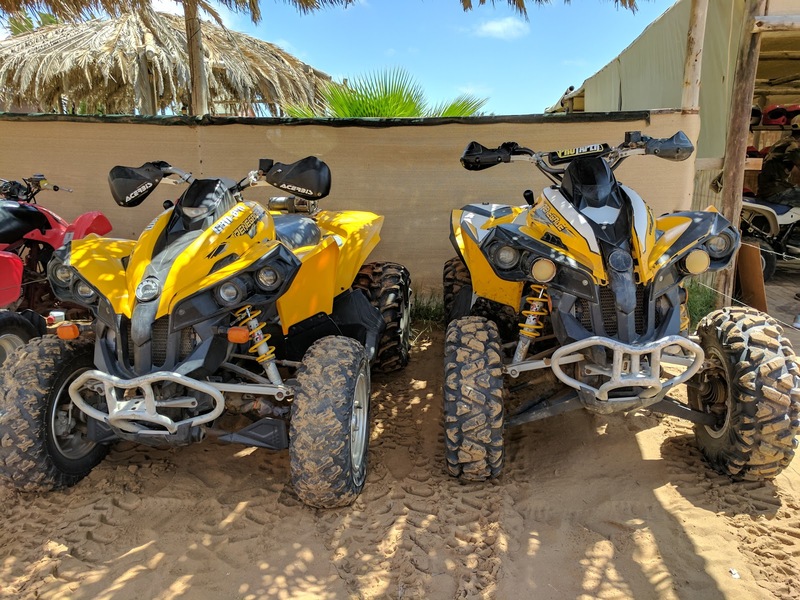 Dune 7 Adventures strongly supports responsible use of the environment, and although our tours are adventure activities, we respect the environment and wildlife at all times. 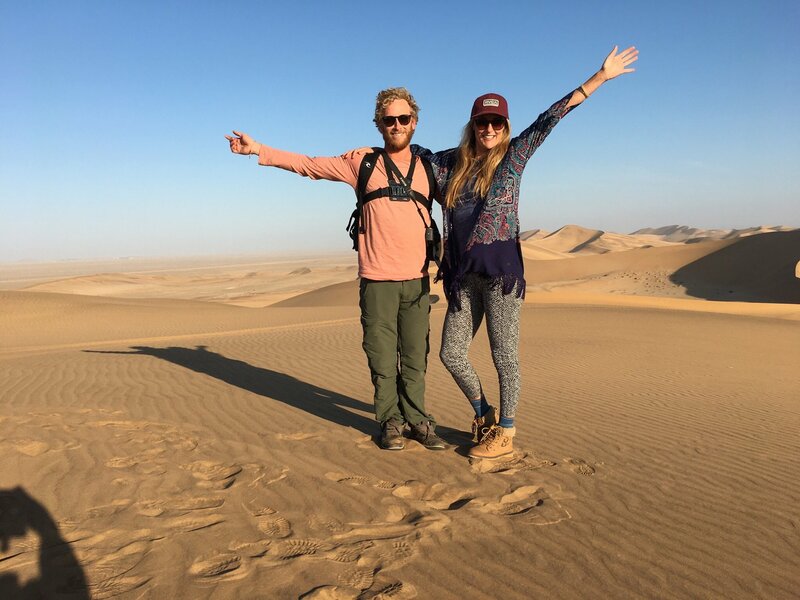 Feel like an adventurer, while our experienced and professional guides take you through the Namib Dune belt on our popular ECO friendly, quad bike tours. 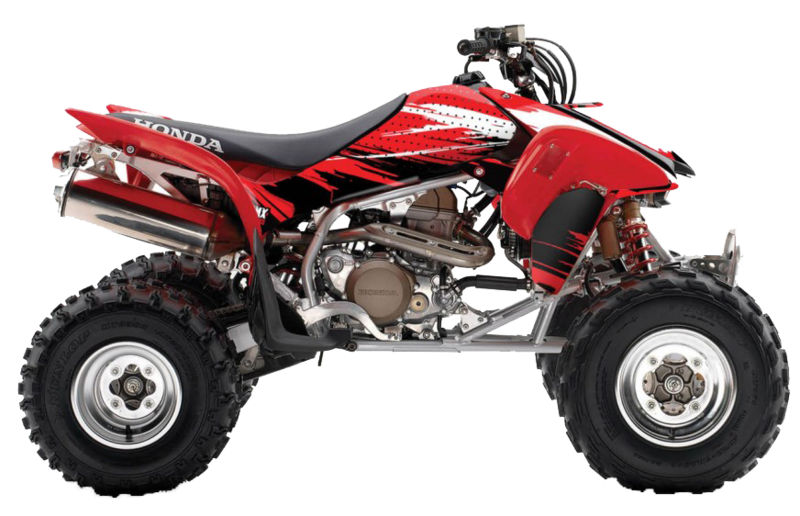 No prior experience with riding Quad Bikes is required.